Bounce houses are incredibly popular with kids at birthday parties, carnivals, and other special events. While they can provide a lot of fun, they also have the potential to lead to serious injuries if your kids aren’t prepared for the experience. To keep everyone safe while they enjoy the exciting bounce house activities, here are some crucial safety rules to keep in mind. 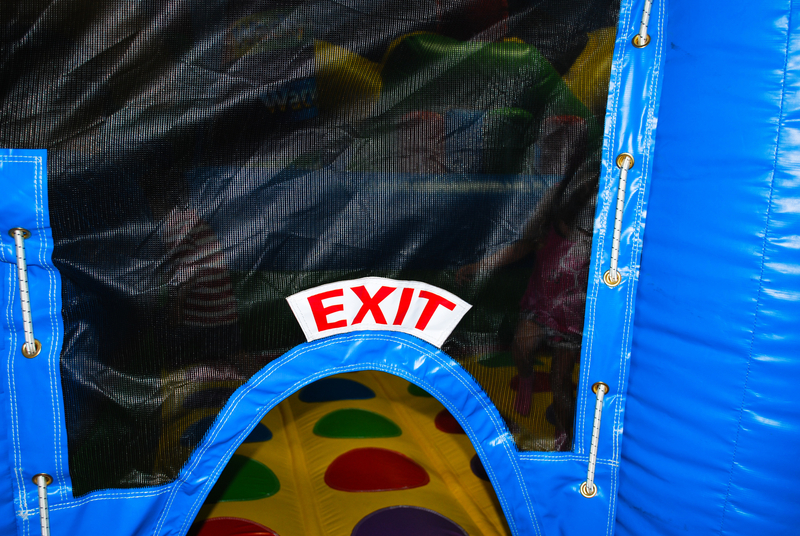 Each facility or rental company should provide clear guidelines about who their bounce houses are safe for. Different structures have different height, weight, and age restrictions, and it’s essential that you follow those carefully. Generally, very young children should stay out of bounce houses until they’re coordinated enough to stay balanced, and all participants should be roughly the same age and size. Kids should remove their shoes before entering — as well as any jewelry, glasses, or other sharp accessories. Then, have them clean out their pockets to avoid other items from flying around and hitting another child. If you’re renting a bounce house for an event, proper setup is essential. Make sure you read all of the instructions and hire professionals to ensure that the structure is secure and safe for all-day bouncing. When you do hire a company for bounce house rentals, ask about their insurance and inspections. This can help you ensure that you’re getting equipment and professionals that are up to safety standards set by your state or other professional entities. Whether you’re renting a bounce house or taking your kids to a facility, adult supervision is paramount. Stand nearby and watch them — or ensure there’s an attendant nearby. This can help you stop any dangerous bouncing or other risky behavior before it leads to injury. If you’re looking for a bounce house facility or event rentals near Rochester, NY, look no further than Leap N’ Laugh The Ultimate Bounce House Experience. The company offers plenty of kids’ activities — from its 14,500-square-foot indoor facility full of fun inflatables to party rentals that you can set up at a birthday party or outdoor carnival. The professional team makes safety a top priority and always strives to provide the best possible service to every family. Get all the details to plan your next visit online or call (585) 469-8922 to speak with a member of the team.